Parenting teens often leads to stress and sleepless nights as they navigate their way from childhood to becoming adults. If your son is exhibiting severe or extreme behavioral issues, there is more than a little peace of mind at stake. Teens that have consistent issues with depression, defiance, anxiety, substance abuse or mental disorders are at risk for disrupting their own healthy development. While there are outpatient options to try, they may not be enough for a teen that is already far down a dark path. In such situations, parents often turn to reform schools for troubled teens to give their son the intensive help he needs to make better choices and turn his life around. Full time facilities, like residential treatment centers and therapeutic boarding schools are specifically designed to help troubled teens get to the root of their issues and work on healing them from the inside out, while gaining the valuable tools they need to maintain their success after they return home. Such alternative schools for troubled teens are a valuable option for parents that don’t have the right resources to provide their son with rigorous help he needs in the home environment. What Happens At Reform Schools? Full time therapeutic programs assess each boy upon arrival in order to create a baseline for his medical, emotional and behavioral needs. This thorough assessment is important for the staff so they can create an individualized plan of care for each student. While most treatment plans include some combination of individual, group and family therapies, some also offer experiential and recreational experiences as well. Consistency, rules and structure help each student learn how to manage and self-correct his behavior and coordinated group activities help them practice positive interaction and teamwork. What Should I Consider Before I Select A Program? As you research potential programs for your son, it is important for you to consider your needs as well as his. Keep in mind that dealing with a struggling teen takes a toll emotionally and physically. Placing your boy in a program you have confidence in will help you get the respite you need and be refreshed and ready to help your teen maintain his hard work once he returns home. Choose a program that is a good match for your son, but also reassures you regarding licensing, experience and safety. This means that some parents have to send their sons a little further from home, because not all states have the same standards for their teen help programs. Therapeutic boarding schools in Utah are currently the most highly sought after because the laws and regulations within the state are the most comprehensive in the nation. Sending your son away from home can be painful and intimidating, but remember that the right program can be a life changing experience and help him develop valuable skills that he can use for long term success. Sundance Canyon Academy is a residential treatment center located in northern Utah. 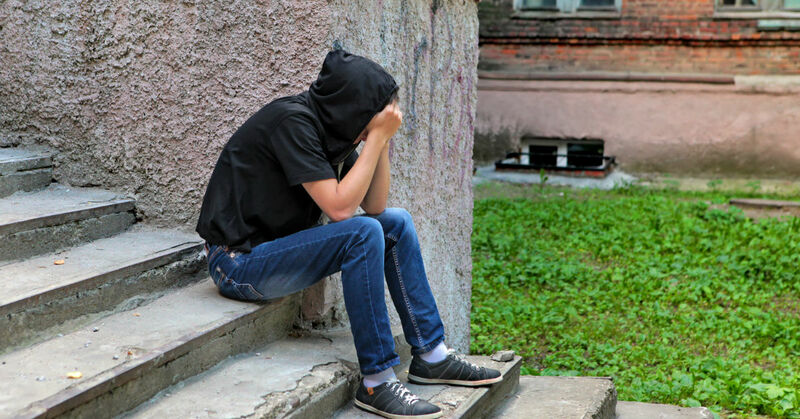 Our unique relationship based therapy model helps troubled teen boys pinpoint and overcome the root of their issues, unlike the behavior modification therapy programs, which only manage the symptoms. Contact us today at 1-866-678-2425 for a consultation. We are confident that we can help you find the best solution for your family.